We are the experts in virtualization technology you can trust for consolidating deterministic real-time operating systems (RTOS) with other, less critical applications on a single hardware platform. Our bare metal hypervisor provides a privileged mode that allows operating systems to run in real-time, thereby avoiding any overhead from virtualization. Native real-time capability stays at 100%. 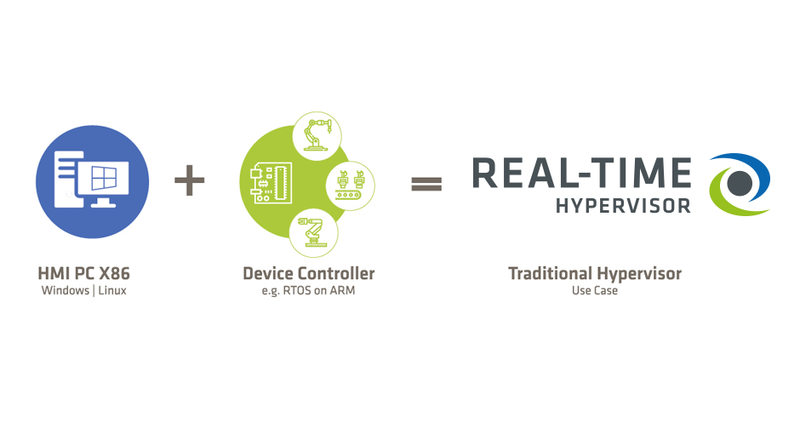 With the RTS Hypervisor, you can combine any operating system with any x86 processor to suit your needs of the moment. You have full freedom to virtualize your devices and their IoT and/or Industry 4.0 connectivity individually. A major benefit is in any case the exceptionally easy startup and handling of the virtual machines. This means your deterministic real-time applications can take advantage of all the benefits of virtualization immediately, without costly implementation projects. 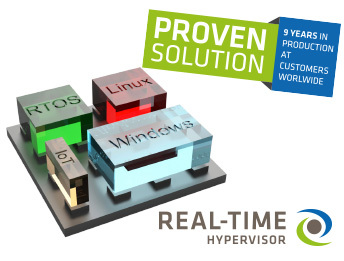 We offer you all the freedom you need, because our RTS Hypervisor is OS agnostic: It supports all popular commercial and open source operating systems.